The original Honor Magic was a very intriguing concept phone that was ahead of its time with quadruple display curves from all sides, and a harbinger of the AI buzzword baked in to demo the level of smart automation a phone can bring. Honor had no plans to launch it outside of China, where it sold for the equivalent of $530, but at the IFA expo back in September, the company teased a successor - Magic 2 - that will see a much wider release, or so they told us. Well, today is the day of the Honor Magic 2 announcement, and it's the world's first phone with six cameras in total, and that's not even its most interesting feature. We kid, but let's run through the design and specs and judge for yourselves. The teaser that Honor showed us on stage back at IFA, included a device that is indeed all-screen at the front, with a front-facing camera kit that pops up from behind. A slide-out camera section to allow for a truly bezel-less phone is not a new idea, as the Oppo Find X is already on sale with one, and Xiaomi just unveiled the Mi Mix 3 with every frontal paraphernalia but the earpiece tucked in a sliding half behind the screen. Think of the Honor Magic 2 as a full slider as well, as the whole upper half of the phone slides the screen panel down to reveal three selfie-snappers, in addition to the triple-camera kit at the rear. The sliding mechanism is smoother than what we have on the Mi Mix 3, as it is not magnetic, so it doesn't have that snap sound when sliding open, but we'll see which solution proves more durable in the end. The Honor Magic 2 has a glass body that comes in a few colors, including the signature gradient hues. The 6.4" FHD+ (2340×1080 pixels) OLED display is housed in a body that is just 157.32 × 75.13 × 8.3 mm in dimensions, thanks to the all-screen slider design. It carries in-display fingerprint reader, too, futureproofing the Magic 2. Android's first 7nm chipset, Kirin 980, is running the Magic show, coupled with 6GB/8GB of RAM and 128GB/256GB of storage. A 512GB storage model will be available next month, too. A fairly generous 3400mAh battery with Huawei's ultra-fast 40W charging means rounds up the flagship-grade offering. Yes, you can call the Honor Magic 2 the world's first phone with six cameras. LG bragged with its penta-camera V40, then Samsung released one with four cameras at the rear and one in the front, but the Magic 2 has distributed them evenly on both sides. The rear houses a 16MP + 16MP + 24MP camera kit, with one super wide-angle lens, and a monochrome sensor as sidekicks to the main cam. Slide down the display half, however, and it's again three cameras. A 16MP main sensor does the selfie lifting, a 2MP depth sensor helps with the bokeh portraits, and another 2MP sensor has the added purpose of 3D-sensing for face unlock of the Magic 2. Overkill? Sure, but the sensor counts are the new megapixel wars. Honor will be releasing the Magic 2 next month for a price range that is yet to be fully disclosed. Skimping on the 40MP sensor of Huawei's flagships, as well as on wireless charging, the Magic 2 should have a lower tag than, say, the Mate 20 Pro, but we'll keep our ear on the ground for you, and update accordingly. Brace yourself, folks. The era of MOAR cameras is upon us. "Honor had no plans to launch it outside of China" Did they didn't want money or what? This thing could compete with OnePlus 6T if they can sell it outside China with that price (or even after they increase it $40-$50 after tax). This design needs to catch on in the US. I'd get this or the Mi Mix 3 in a heartbeat. Yep I’m surprise that Apple never came up with this all screen design with slider for the X. It seems like something the old Apple would do rather than compromise with the notch! people will complain about durability but i like phone with slider design...more of this next year i hope. My next phone! Been thinking about getting an iphone xr or huawei mate 20 pro but this phone matches my speclist and will be way cheaper. Xiaomi mi mix 3 looks also nice but - i dont use wireless charching - huawei fastcharge is crazy fast - inscreen fingerprint which mi mix doesnt have - wide angle camera - and imhave a feeling huawei camera quality will be the same or maybe even better. I'd buy it over OP 6T in a heartbeat. Only downside would be the updates as OnePlus is unmatched in that area. 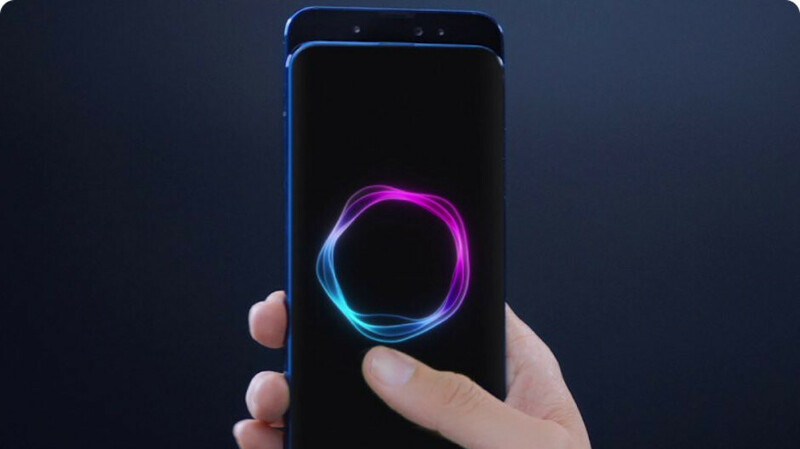 So this is called the Huawei Honor Magic 2?.. Omg. Simplify it please. Lol. You can remove the "Huawei" since Honor itself is a brand name. Honor please release this in the US!